Since his final shift at the Hollywood Roosevelt’s Library Bar last November, bartender Matthew Biancaniello has been keeping busy, from scouting locations for his own bar to transforming some of his signature cocktails into ice cream at a Scoops Westside pop-up next month. 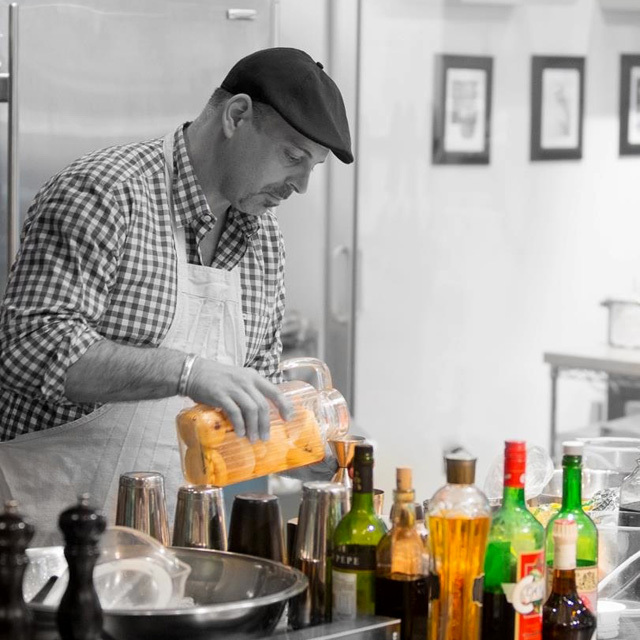 Renowned for his seasonally-driven, bespoke cocktails and outside-the-box ingredients, Biancaniello would always take the time to discuss his drinks and methods with guests, even on busy nights. On Thursday, January 31st, a lucky group of cocktail aficionados will have the unique opportunity to learn about Biancaniello’s techniques at a Culinary Cocktail Seminar taking place at K&L Wines Hollywood. For one night only, Biancaniello will feature four wine-based cocktails and explain the process behind creating each of them. Attendees will taste the components as well as the finished cocktails. A batched cocktail will also be poured for the group. Cardamaro, cassis, fresh grapefruit juice and chipotle-infused Alvear sherry foam. Candy cap mushroom-infused Byrrh, egg, white peppercorn-infused honey, and foraged wild white sage-infused cream. Pummelo infused Dolin Blanco Vermouth, foraged wild mustard greens, Bearss lime and agave. Foraged wild bay leaf infused Cocchi Americano, Guava, clove-infused blood orange juice, dehydrated blood orange slices. Mochi-infused Tozai sake, kiwi, basil, satsuma peel and cinnamon syrup, candied meiwa kumquats. NOTE: this is a tasting and seminar, full cocktails will not be served. Photo by Garret Baquet, courtesy Matthew Biancaniello.